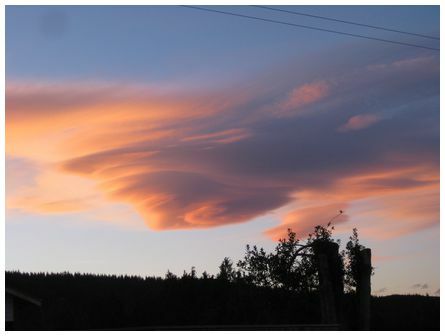 'A lone cloud over Wanaka right before sunset on 8 August 2011, looking out our kitchen window towards Mt Burke. A few minutes earlier the streaks had been even clearer; a few minutes later the cloud had dispersed. 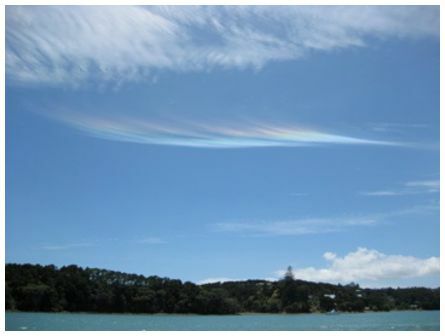 With no other clouds in sight, the streaks were quite a sight' wrote Martyn. 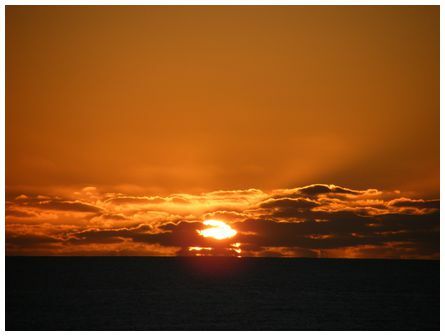 'Sunset from Sunset Beach, Port Waikato. 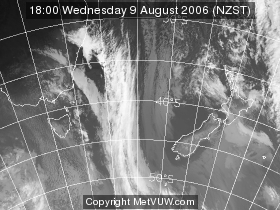 Gorgeous settled winter weather taken 20 August 2011. Fuji FinePix S8000' wrote Fraser. 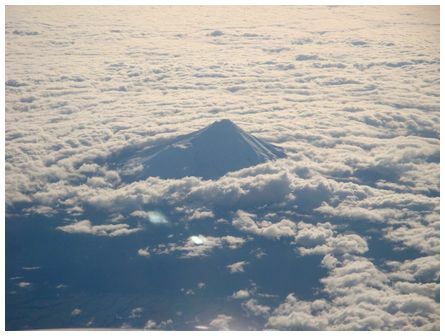 Another of Rod's photographs taken on an Air New Zealand flight from Auckland to Christchurch on 25 August 2011, with Mt Taranaki poking through the clouds. 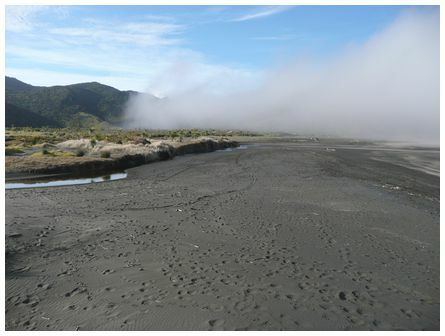 'Driving home from work - taken at Wakefield, Nelson on 27 July 2011. Kind Regards, Lyn. 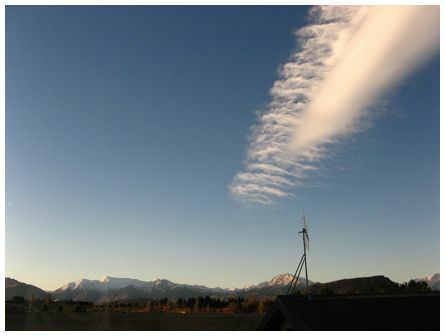 'Cloud banks up through a pass in the Mackenzie basin. 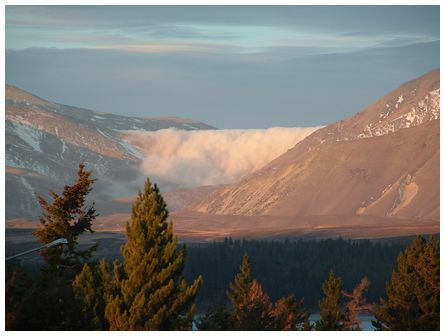 Taken from Blue Waters resort Tekapo, looking to the East at 17:30 on 13 August 2011' wrote Nicholas.